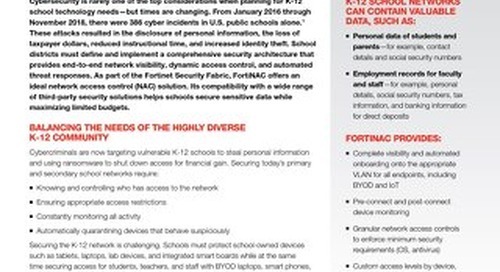 Cybersecurity is rarely one of the top considerations when planning for K-12 school technology needs—but times are changing. 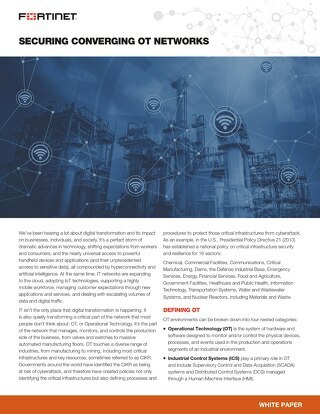 From January 2016 through November 2018, there were 386 cyber incidents in U.S. public schools alone.1 These attacks resulted in the disclosure of personal information, the loss of taxpayer dollars, reduced instructional time, and increased identity theft. 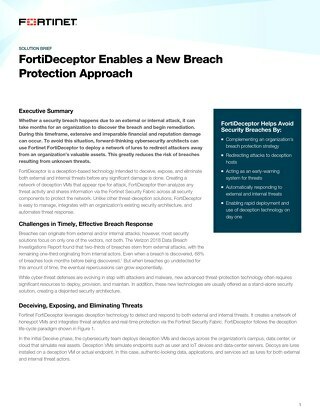 School districts must define and implement a comprehensive security architecture that provides end-to-end network visibility, dynamic access control, and automated threat responses. 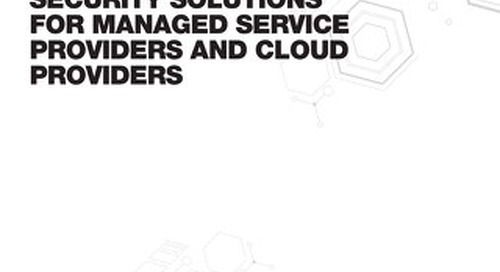 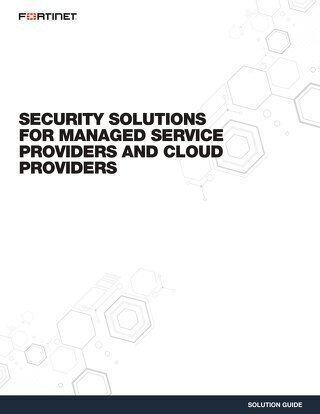 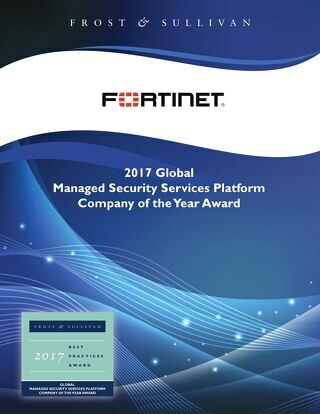 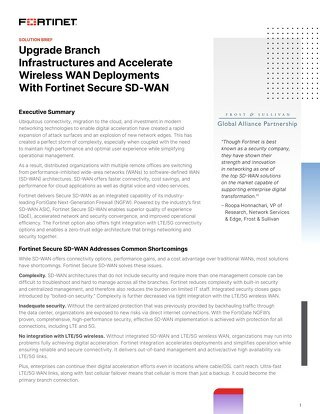 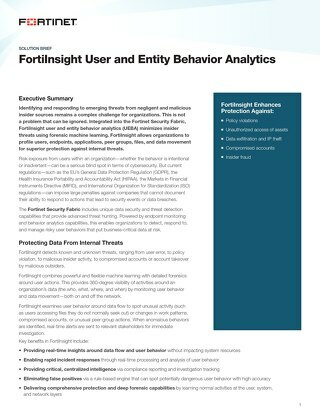 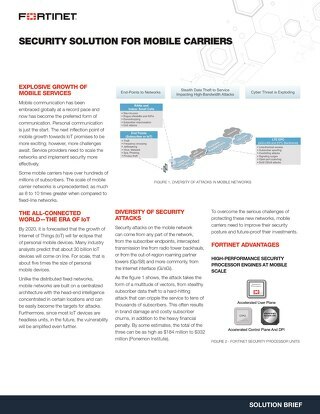 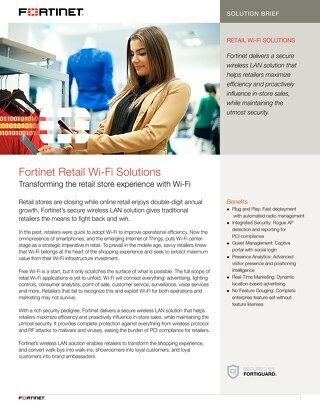 As part of the Fortinet Security Fabric, FortiNAC offers an ideal network access control (NAC) solution. 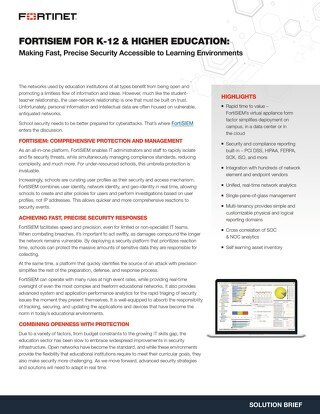 Its compatibility with a wide range of third-party security solutions helps schools secure sensitive data while maximizing limited budgets.